Top with 3/4 sleeve with a wide v-neck neck and comfy extra space under the armpits. The sleeve can be folded up and wrinkled with a fabric strap and button on the top of the sleeve. The top is slimmed around the waist and at the front there are three detail stitches beneath and over the bust. 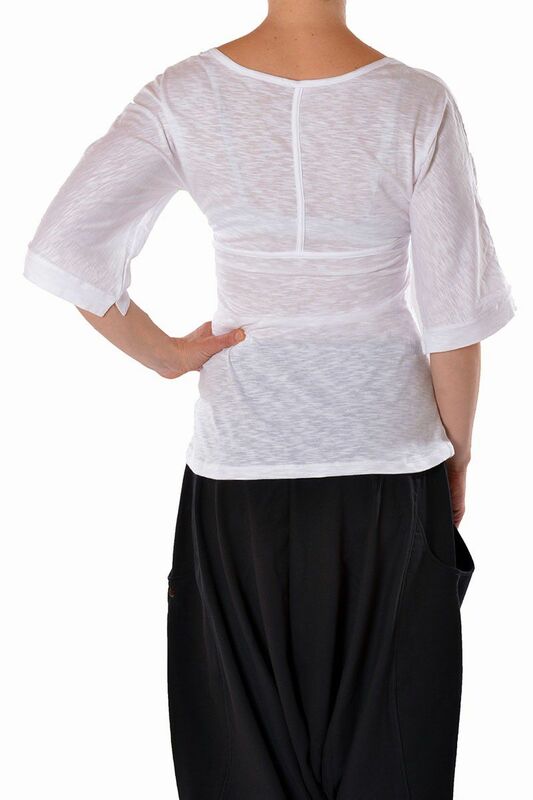 A top that can be worn for both yoga and everyday life. The fabric used for the top is organic cotton with a striped weaving tecnique - see beautiful detail on the fabric.